Feather is a serene game about exploration and the joy of flight. Become a bird, fly around and lose yourself in zen-like flow whilst listening to the soothing ambient soundtrack. Feather began development as a game jam project called Fruits of a Feather in 2016. Originally it was to be a air-combat fighting game, but due to disagreements about how combat would work, the team decided to focus on what already worked best, the game's fluid and joyous flight experience. the game continued in development as a side-project over the next few years, appearing at Samurai Punk's PAX booths as the "Relaxation Station". 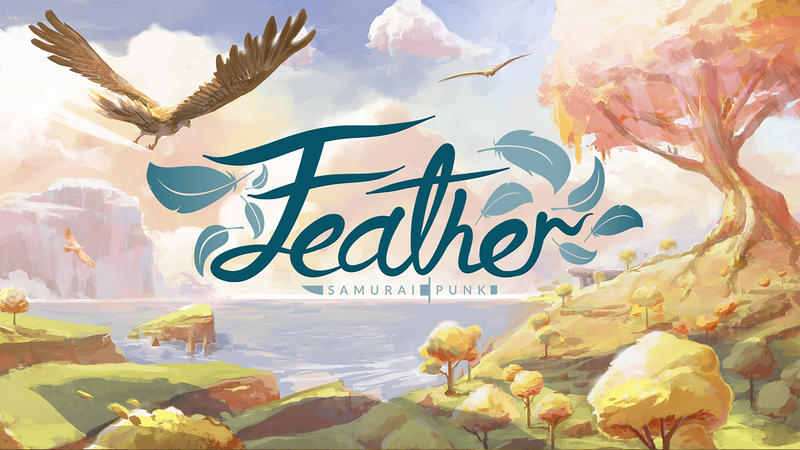 In 2019, Feather will finally be released as a full game on PC and Nintendo Switch, with the addition of passive online multiplayer, allowing you to fly around with other players in the world. "It's a small world with small objectives and small actions, but within all that smallness it feels anything but cramped or restricted." "the swooping and flapping and gliding is lovely so I spent my time doing that instead, skimming the ground and doing little loops around the trees."